Pursuant to legislation passed by the Arizona legislature in 1968, the Arizona Department of Public Safety became operational by the executive order of Governor Jack Williams on July 1, 1969. Governor Williams' mandate consolidated the functions and responsibilities of the Arizona Highway Patrol, the Enforcement Division of the State Department of Liquor Licenses and Control and the Narcotics Division of the State Department of Law. 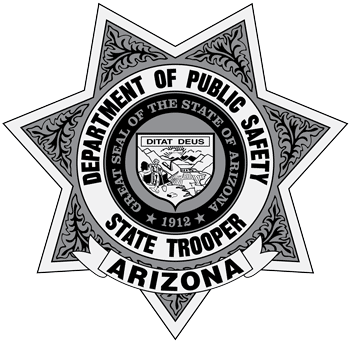 During its history, the Arizona Department of Public Safety has accepted many additional responsibilities and has evolved into a respected, nationally-recognized and multi-faceted organization dedicated to providing law enforcement services to the public while developing and maintaining close partnerships with other agencies that share similar missions and objectives. Today, the Department with its state headquarters in Phoenix, maintains offices in more than 80 Arizona communities and cities within the state's 15 counties. The close to 2,100 full-time departmental employees, along with more than 150 volunteers, help the agency fulfill its support and operational objectives in the critical areas of highway and public safety, criminal interdiction, scientific analysis, as well as technical and operational support of other criminal justice agencies. The Department of Public Safety is under the command of a director, with the rank of colonel, who is appointed by the Governor of Arizona. The director is assisted by a deputy director, with the rank of lieutenant colonel, appointed by the director. The department is composed of five primary divisions - Highway Patrol, Criminal Investigations, Technical Services, Agency Support and the Office of the Director. The five divisions are headed by assistant directors, each with the rank of lieutenant colonel. Divisions are subdivided into bureaus, each overseen by a bureau major or manager. Bureaus are divided into districts/sections, units/areas/squads and subordinate elements.